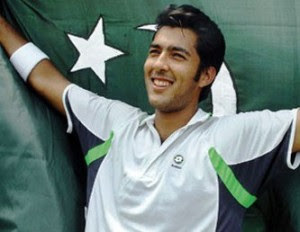 Second seeds Aisam-Ul-Haq Qureshi and Jean-Julien Rojer continued to shine in the first year of their partnership, opening with a 7-6(4), 6-2 win over Colombians Alejandro Falla and Santiago Giraldo on Tuesday at the UNICEF Open in ‘s-Hertogenbosch. Since May, Qureshi and Rojer have compiled a 17-3 record with titles on clay in Estoril and grass in Halle. They were also semi-finalists at Roland Garros (l. to Bryan-Bryan). Fourth seeds Scott Lipsky and Leander Paes, playing together for the second time, fell to Juan Sebastian Cabal and Dmitry Tursunov 6-2, 7-5. At the AEGON International in Eastbourne, British wild cards Dominic Inglot and Jonathan Marray knocked out second-seeded Spaniards Marcel Granollers and Marc Lopez 6-3, 6-3. Fourth seeds Treat Huey and Oliver Marach also bowed out in their opening match against Mikhail Elgin and Denis Istomin 6-3, 7-6(4). The third-seeded British duo of Colin Fleming and Ross Hutchins, meanwhile, made their way safely into the quarter-finals with a 6-3, 6-4 win over Paul Hanley and Julian Knowle. They go on to face Israelis Jonathan Erlich and Andy Ram, who prevailed against Steve Darcis and Mikhail Kukushkin 7-5, 1-6, 10-6.